What’s you’re go to? Seasoned salt or unseasoned salt? Which one is more worth it’s weight? Bored and don’t have the energy to even get up to get the remote for the tv. So stupid question time. I’m super fancy and require seasoned!! 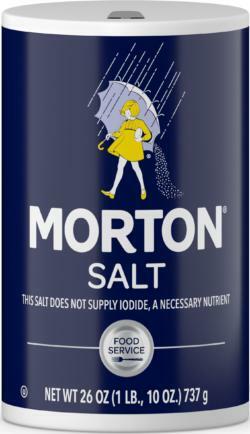 I like my salt like I like my snow! Sorry, I missed this! It’s a seasoned salt in Australia... so good. It’s usually got some form of powdered chicken stock, salt, paprika, garlic and onion powder. Every local take away shop (fish and chip shop) has it to sprinkle on the chips and potato scallops so they ask plain or chicken salt. Imma have to look for this. I just use sea salt. That's it. And not too much. Just a pinch. ❤️ What do you think of my Snickerdoodles and Oatmeal Apple Cobbler muffins? Do you like fettuccine Alfredo? If you drink, what drink do you usually order? What was in this girls drink? Which You Pickin 類? I think seasoned salt is the opposite of fancy, haha. My go to is plain Salt, but that being said I have options: kosher, table, sea, Himalayan pink, then some other special finishing salts. It depends on what I'm having if it's something like a baked potato or a veggie that requires a little bit of salt, all other time's I'll use unseasoned. ... what is seasoned salt? It’s got like different spices n stuff in it. 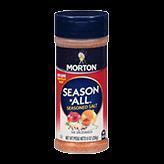 Like Lawrys seasoned salt. But if I recall correctly you’re in the U. K. ? So I honestly don’t know if you guys see it much over there. We have table salt, sea salt and rock salt. We tend to keep things separate so we can control/balance flavours. Hell, we even have crisps (chips) that are completely unflavoured and the salt is in a little packet that you can put in if you want (salt ‘n’ shake). I associate “seasoning” as salt and pepper. I’m gonna read the article cause I’m curious!! Goya adobo or lawry's seasoned salt. I could keep going but I think I’ve shown you the error of your ways enough that you may yet survive the remainder of the week. When you wake up tomorrow alive and well be grateful for the lesson you have been taught here. How to Increase Your Overall MHO Percentage on GAG (Second Edition) Jealous Much Sir? 10 Benefits to Why a Girl Shall Stay Virgin Until Marriage! 10 Music Artists/Bands Have Taken Over My Playlist Relationship Advice Everyone Needs To Know! Home > Food & Beverage > What’s you’re go to? Seasoned salt or unseasoned salt? Which one is more worth it’s weight?